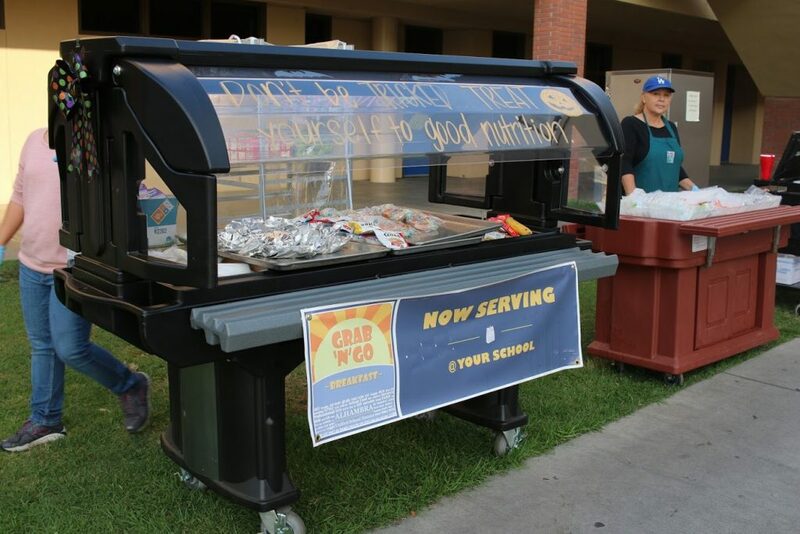 As a means to reducing food waste, the Alhambra Unified School District (AUSD) is launching the Food Recovery Program at SGHS as its piloting site on Jan. 14*. The donations will be collected by volunteers from the Tzu Chi Foundation—which AUSD also partnered with in past food pantries events at Alhambra High School—twice a week and then given to families in need. On campus, the program is also welcomed by the administration, staff, and students. During the program’s development, science teacher David Whitman voiced his concern to the district regarding food waste, when he and his students became aware of the uneaten food in the trash. Currently, Whitman and senior Matthew Perez are working with Huffaker for the program’s kickoff. Perez and Whitman were both invited to a district meeting back in August to discuss about the program’s startup. Collaborating with Whitman again, Perez is working on a documentary to promote awareness of the growing food waste problem. “The main point of this documentary is to have children get the food they’ll eat, because they need it, not because they can get it for free,” Perez said. Environmental Club adviser and history teacher Henry Osborne said that the program can be potentially beneficial to not only the environment but also the economy. “Not only is throwing away food like throwing away money, either personal or that of taxpayers, there are also big environmental costs associated with the growth, processing, transportation, storage, and disposal of food that eventually goes to waste,” Osborne said. If this program succeeds at the SGHS site, the district hopes to expand the program to their other school campuses.